Just days before Albertan go to the polls on April 16, residents of B.C.—especially those interested in limiting pipeline expansion—are once again left crossing their fingers for the lesser of two evils. Over the past decade, tensions between Alberta and B.C. have steadily grown. Alberta’s economy thrives on oil and gas, and when British Columbia’s environmentalist policy limits its industrial growth, conflict arises. One of the most controversial issues between each province is pipeline expansion, which profoundly affects the economy, environment, and relations with Indigenous communities. Back in 2012, there was a major dispute between Alberta Premier Alison Redford and B.C. Premier Christy Clark over the construction of Northern Gateway, which projected a revenue of $67 billion over 30 years. Although the pipeline was eventually rejected by Trudeau, he approved an expansion of the Trans Mountain Pipeline. The main difference between both projects is that Northern Gateway sought to construct a completely new pipeline to the west coast of B.C., whereas Trans Mountain sought to triple the capacity of an existing pipeline between Edmonton and Burnaby. Although research clearly proves the harm that human intervention has on sensitive ecosystems, it seems that Trudeau is set to go ahead with the pipeline expansion. I wonder if it has anything to do with how the Trudeau government bought Trans Mountain for $4.5 billion. Rachel Notley, the Alberta premier who convinced Trudeau to make the lofty purchase, is one of only two candidates likely to win the upcoming 2019 provincial election. When she was elected in 2015, Notley symbolized an ideological shift in the province after 44 years of conservative control. In her time as premier, she has introduced legislation that effectively phased out coal, raised the minimum wage, and created an economy-wide carbon tax. If Notley is re-elected, she is likely to be one of the few premiers who still supports Trudeau’s plan to introduce a federal carbon tax in exchange for the approved expansion of the Trans Mountain Pipeline. However, there is a very real possibility that Jason Kenney, leader of the United Conservative Party, will be elected. Kenney, basically a sworn warrior of the Alberta oil and gas sector, has vowed to “turn off the taps” to B.C., and directly target opponents of the pipeline expansion. Although the Notley government has directly targeted B.C. with boycotts in the past, Kenney has sworn to take the interprovincial conflict to a whole new level. 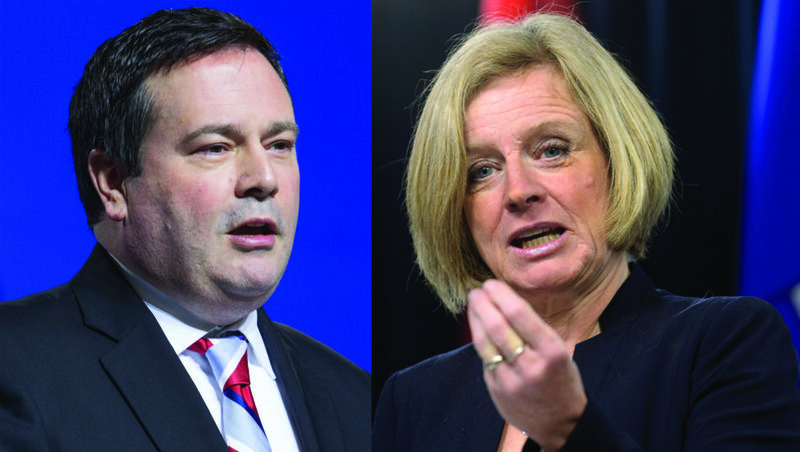 Kenney has already expressed a passion for eliminating the carbon tax that Notley introduced. He also plans to urge a boycott of companies that support environmental groups or criticize Albertan oil and gas companies, and says that he will order his attorney general to investigate the charitable status of environmental groups. As long as economies run on gas and oil, it doesn’t seem like environmentalist conflicts like these are going away any time soon. Considering the large number of high paying jobs that come from the energy sector, strong political platforms in Alberta are likely to focus on pipeline advocacy. Whether the next premier is Notley or Kenney, don’t expect Alberta and the Trudeau government to stop gunning for permission to destroy more and more of the environment—at least not until the dollar signs in their eyes can be matched by a more environmentally friendly alternative to oil and gas pipelines.